Author : Cindy Jenkins. 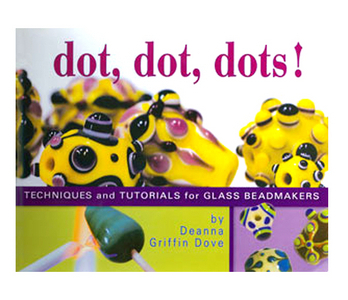 This book showcases beads from many different artists. A great gallery of beads and a picture guide of techniques for beginners and advanced lampworkers. Out of stock...Author: Kimberley Adams. 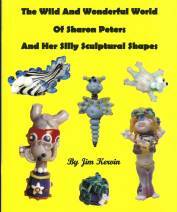 A fantastic book for beadmakers to add to their collection. Splendid coloured photos show all the latest most innovative techniques with instructions. 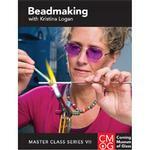 Methods to make various shaped beads,experimenting with enamels,applying gold,silver and copper leaf,working with mica, florals, sculptural beads and encasing images are some of the numerous projects included.This book presents a fabulous new selection of creative ideas to learn and inspire. This issue contains 11 pages,and 90 full colour bead photos, which illustrate the effect of combining the various colours of Moretti Glass.This edition shows the effects that resulted by playing with the chemisty of glass and came out of Corina's Monthly Challenge whereby beadmakers contributed beads which were made from combining some of the common colours and also less common colours, creating some surprising and beautiful effects.A handy edition to own and good reference material for any beadmaker. This Video clearly shows the methods Pat Frantz developed to use Dichroic Glass to make radiant, colourful lamp-worked beads. Great instructional video that shows how to make simple dichroic beads&progresses to show very complex & dazzling uses of Dichroic in Lampwork Beads. 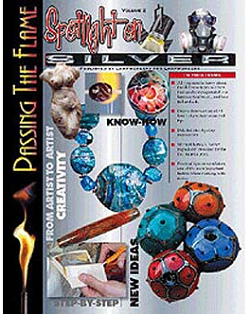 In this issue Corina focuses on the different types of silver that can be incorporated into lampwork beads. Over a dozen artists are featured with their ideas & tips.Detailed step by step instructions are given and Michael Barley reveals his 'secret ingredient' for the first time in print. This edition features numerous howtos on strawberries,circus elephants, critters,dolls, eyes, puffins,a chocolate fudge sundae, kitties, a puffy heart,colourful disc beads,hair and other textures. All in all colourful, wierd and wacky! Explains Pati's unique style and how to's:Flower Garden Bead,Figurative Fish Cane, Greenery Cane,Stem Cane,A Strong Silvered Ivory Cane,Aquarium Pendant,Ribbed Cane, Hidden Tiger Bead and a variety of other Buttons and Pendants. A well illustrated book with coloured photos) on Heather's technique's. These include :Squiggle Tabular Bead,Twisted Ribbon Cane,Disc Bead,Hollow Round Bead,Hollow Bicone,Tea Pot Bead,Dotted Amphora (ie perfume vessel),Core Vessel,Hollow Conical Vessel with Handels & How to Put Individuality into Your Finished Work. Kate's style is a product of her younger years growing up near the beachside. Her personalized techniques are photographed and explained well, eg she makes all her beads in the middle of the mandrel!Other beads include the use of Optic Mould Canes,Electroforming,Enamels,Mixing Enamels,Enamelled Canes,Ancient Vessels,Prehistoric Goddess Bead and her unique Anthromorph Bead. Diana is a British Lampworker whose work is much admired. In this book she explains with text plus photos the methods used to achieve her unique style using Enamels and Sandblasting. 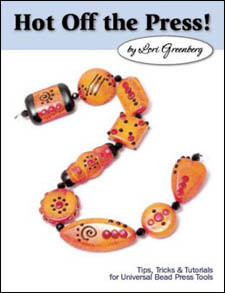 Leah's work is influenced by all things oriental.There is a wealth of beautiful photographs of her beads in this book. The techniques used to make these beads inclued, Cased Cane,Double Cased cane,Ribbed Cane,Branch Cane,Use of Canes to construct Floral Decorations,Rose Bead,Daisy Bead,Foils and Leaf,Sweet Pea Bead,Rainbow Latticino,Grape Urn Bead,Using your Beads in Jewellery. This poster by Corina has 56 coloured photos of inspiration on a laminated cover.On the back Corina discusses techniques in making great patterned beads like those on the poster. Also using goldstone thin stringer and how to pull it ultra thin.Shapes, colours and stringing the beads together are also covered. A great summary chart! Step by Step instructions on how to make beautifully shaped beads. See how Jim, famous for his heat control, manipulates glass into amaizing shapes and the detail used on the beads to make his signature beads. Jim Smircich is considered a true artist in the bead world. 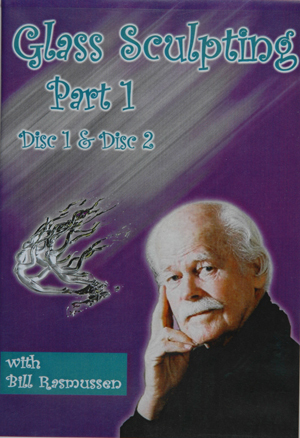 Lewis Wilson, in this DVD, provides an enormous amount of information on murrini making. Working on a minor burner and using Moretti Glass he creates numerous types of murrini, mosaics, faces and letters. All his designs are simple and done entirely at the torch. A DVD by Corina Tettinger covering everything you need to conquer the techniques of stringer control and the process of pulling stringer. 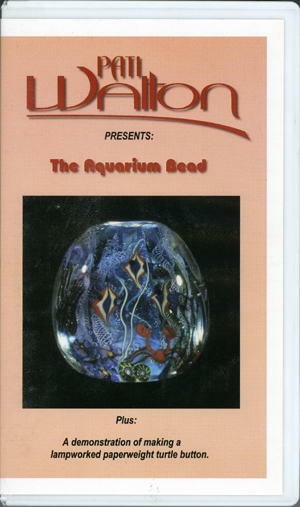 This DVD by renown U.S. beadmaker, Pati Walton, shares the secrets of her award winning aquarium bead as well as her special tips & techniques used to create it. She also demonstrates the use of murrini slices in a lampworked paperweight button. 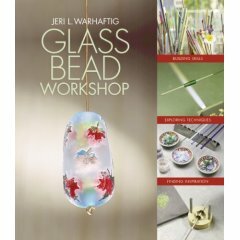 This booklet gives step-by-step instructions on how to make sculptural glass beads. Create your own wild and crazy creatures..flat fish, dressed up cows,aliens,lizards, ojime, sculpting with coloured glass, to name just a few techniques covered. 33 pages with coloured photos. (Out of stock)This is a tutorial book of 8 pages, with step-by-step colour photos on making frogs the Corina way. The instructions were taken out of Corina's 'Passing The Flame'book. 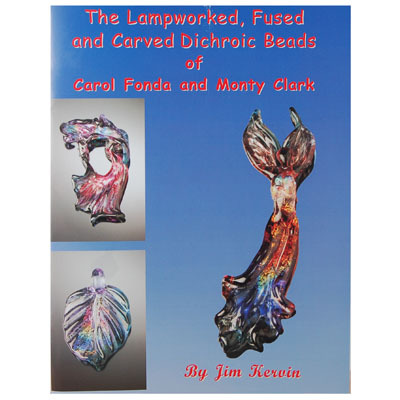 Presently out of stock....This is the tenth and latest booklet by Jim Kervin where Japanese lampwork artist Akihiro Ohkama reveals some of his techniques using Satake glass and Japanese equipment in the creation of his magnificent beads. 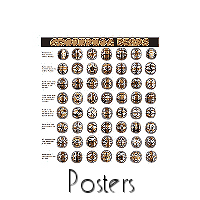 Intricate designs are a feature of his work and he shows techniques used to make his, Stone Lily bead, Cherry Blossom bead, a Butterfly pendant,Geometric Ribbon Bead,Murrine Bead, and a precisely wrapped Laticcino pattern bead.There are full colour inspirational photos of numerous beautiful beads.33pages. In this video James Smircich tutors as he works. He clearly describes what he is doing while he is doing it. You will see and hear James explain the principles behind his method. He gives insights into heat and gravity control, design ideas and much more. He produces fine long beads with a few effortless moves while explaining just how you can achieve the same results. James covers design effects such as Black Lace, Anise White Effect, the Apple Core shape, fuming, and clear casing. He presents a bead he calls a pillow bead. This is a hollow bead that is pressed into a tablet and then reheated to enhance it by using the expanding internal air to 'puff' the flat surfaces into curves. You will also see James comb a bead with a stringer and hear why this approach is better than using a metal pick. James is a fine bead maker who is willing to teach! This is Volume One of The Smircich Method. 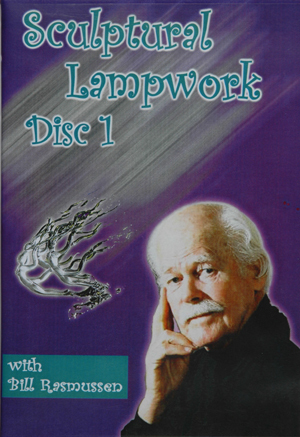 In stock 16.2.2019 An inspirational album for the beginning to intermediate lampworker. Larry Scott is the book's curator and in a beautifully concise, well written style he gives a short biographical sketch about all the artists listed below. The numerous photos are wonderful,large and crystal clear, showing incredible details of the beads. Each photo is accompanied by a caption, explaining the details of the glass used, bead size and the year it was made. 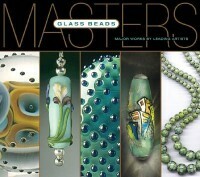 Masters Glass Beads is a book that could be enjoyed by glass bead artists and enthusiasts, as well as by anyone who appreciates exquisite art pieces.Artists included are Barley, East, Boylan, Uchida, Dugger, Fairbanks, Gaurino-Slemmons, Logan, Holland, Dalton, Haight, St. John Maher, Ohkama, Smircich, Ovington, Peters, Shiiba, Fowle-Meleney, Kogure, Crossman-Moore, Mullaney, Mossman, Frantzen-Orr, Masui, Milliron, Cooney, Schmidt, Walton, Roberts, Hayashi-Kogure, Stump, Jones, Holland, Frantz, Sawamoto, Zumkeller, Seydoux, Adams, Penso, Hatz, Yagi, Heilman, and Tabor. Doug Remschneider demonstrates how to create incredible colors with step by step instructions. He will show you how to use tools, techniques and temperature to manipulate the glass and create several styles of beads from simple layered canes made from borosilicate rods. 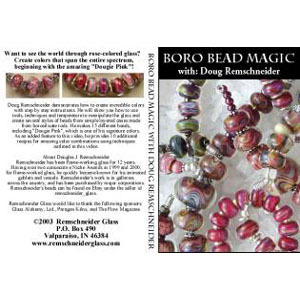 He makes 15 different beads, including "Dougie Pink:, which is one of his signature colors. As an added feature to this video, he provides 10 additional recipes for amazing color combinations using techniques outlined in this video. 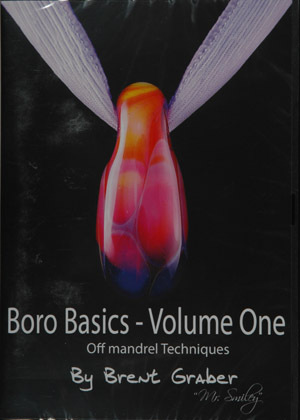 DVD by Lauri Copeland covers both soft glass and boro, using a variety of techniques. If you are frustrated that your beads aren't round, your lines aren't straight, and your angles aren't sharp, this is the video for you. Lauri's work is very 'organic' and shows that it's ok to color outside of the lines. 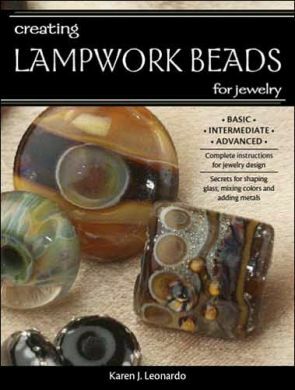 As quoted by Lauri... "The projects are on a beginner/intermediate level, but previous lampwork experience is recommended. Each chapter begins with a materials list. All of the projects are made from borosilicate, with one exception: There is one bead made from 104 soft glass. The DVD includes the following: Using a rod of Glass Alchemy Amazon Night, I test my torch for neutral and reducing flame settings. Three encased beads are wound on a single mandrel. I shape the "Crocodile Tears", then flame strike the boro color. Dot placement and color layers are combined in the next bead. A clear encasement enhances the design. 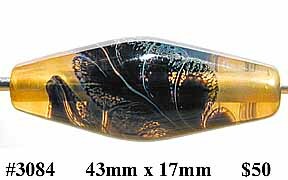 Soft glass (COE 104) is used for the 'Kimono' bead. There are step-by-step instructions for building a starburst cane and a multi color twisty. After winding the base bead, I apply several twisties, shape with a crunch tool, and apply starburst chips. The wine stopper stopper has a long slender boro base made with frit. I use a marver to form a shape that combines asymmetry with balance and a freeform 'Amoeba Disc' is made off mandrel". (out of stock at present) This DVD also by Kate Fowle Melaney, shows numerous techniques including some of her favourites. There are lots of different decorative techniques demonstrated to add to the surface of beads which will create that special complexity and appeal. Included in the demos is, how to pull aventurine rods and stringers, how to make and apply several fancy encased twisted canes, and the many ways that you can combine Thompson Enamels with Efffetre (Moretti) glass. Time 1 1/2 hours. (out of stock at present) 1¼ hours of demonstrations showing how to use several of the optic molds that are available to the beadmaker. Kate uses the star, heart and several of the saw tooth molds to produce cane, then shows two different ways to apply them to your beads. A fantasy bead is made from start to finish, clearly showing how to encase a surface that has canes protruding from it. And a bead with pattern cane applied directly to the surface, with no casing, is demonstrated as well. Leslie demonstrates two beads, from beginning to end. Using an extra long mandrel and thermal fiber , Leslie shows you how she shapes a long cylindrical bead with silver leaf burned into its surface. Then she shows you how to curve the bead into shape without bending the mandrel. On the second bead, Leslie adds silver wire tracery before she shows you how to not only curve the bead, but to also how to shape the bead into an overall twisted shape, like a corkscrew. Approximately 25 minutes. (Now out of stock) Jeri Warhaftig,is a respected and experienced teacher,and offers intermediates her time-tested, workshop-based approach to expanding ones repertoire of beadmaking skills.The table of contents is systematically organised and include the following: Welcome to my studio; The Basics; Session one - Falling Leaves Bead; Session two - Beach Bead; Session Three - Geode Bead; Session Four - Off Mandrel Galaxy Pendant; Session Five - Blown Hollow Bead; Session Six - Twistie Pendant; Session Seven - Hollow Vessel Bead; Session Eight - Wreath Bead; Session Nine - Rune Bead; Session Ten -Scuptural Rose Bead; Appendix A - Sandblasting; Appendix B - Grinding and Polishing; Appendix C - Near Misses. Jeri explains all of the 'basics' such as studio set up, torches, safety, ventilation, etc. She focuses on using current tools,new materials,and innovative methodology to produce a singular bead,with several variations of every bead taught. With all this this information it is also very useful for the beginner beadmaker. Helpful tips are sprinkled throughout the book. At the beginning of each project there is a question posed: What Will This Session Teach?" and this gives you quick overview of the bead you'll be making. The heading is followed by a section listing tools, materials. Included are photos of the tools, materials and the finished bead. The section on making the bead is followed by 'Further Explorations', where variations on the technique is described with a photo or two. Each session ends with a Gallery comprised of various glass art beads made with the same technique. For the experienced beadmaker, it allows you to skim and look for particular techniques. This book has superbly illustrated photographs throughout.There are also good, clear, close up photos of all the techniques and steps.Artists whose beads are included in this book are, Barbera Becker Simon, Holly Cooper, Rocio Bearer, Lauri Copeland, Bronwen Heilman, Brad Pearson,and Leah Fairbanks are just a few. "Hot Off the Press!--Tips, Tricks & Tutorials for Universal Bead Press Tools" by Lori Greenberg Beautifully illustrated, this full color book discusses how to efficiently use bead presses. It teaches the lampworker to judge how much glass to start with, how to use the press efficiently, and discusses how the presses work. Step-by-step instructions make the projects in this book easy to reproduce. Lori Greenberg covers many of the presses available including the charmer, cross, crunch, lentil, marquis, heart and many more. The back cover of this book has a handy reference that shows the pre-press and finished beads. 52 Pages. Contents: Chapter 1- Basic Concepts Chapter 2- Side-By-Side Encasing Chapter 3- One-Step Encasing Chapter 4- More Techniques Chapter 5- Using the Techniques This 72 page book, by Deanna Griffin Dove,illustrates that encasing techniques are essential for creating highly finished art beads. 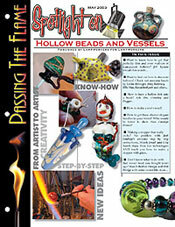 Griffin Dove, artist and author of popular flameworking books, shows you how to learn to execute a wide range of techniques guaranteed to stretch your skills and improve your mastery of this unique art form. It is full of clear color photos, showing every encasing technique covered in the book.Side by side encasing, Lateral Strip encasing, Stroke Depth, Coils, Spirial wrapping, Flat wrapping, Envelope Encasing, Lap Encasing ,Component Encasing and 3D Encasing. This book also deals with other issues of Compatibility,Scumming,Rod Clarity & Cleaning, Rod diameter,Air bubbles,Bead temperature and Overlaying colours.Also shown are encased beads by artists Deanna Griffin Dove, Heather Ferman and Julie Ferguson. THE SET PARTS ONE & TWO! 2 DVD's for the price of One! By Corbin, Jalof and McBurnett. 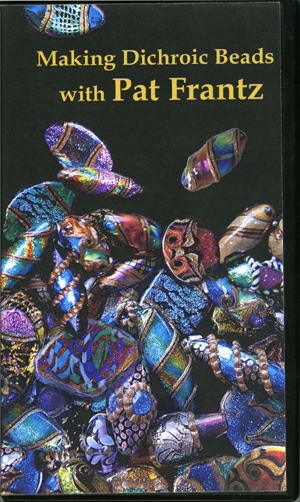 A colourful and visual DVD'opedia of designs and techniques used for beadmaking. Perfect for the beginning soft glass beadmaker, or for the flameworker who wants to experiment with new techniques and borosilicate.PART ONE: Latticinos, Ribbons, Marbles, Opposing Spirals, Reversals, Sectional Welding, Tube work, Fuming, Wraps, Jars, Vases, and more.Great value for such an informative D.V.D. Interviews with Freeman Corbin, Bob Snodgrass, and other experts. Approx. 150 minutes ....PART 2..This DVD,runs for 1.5 hours Featured in this DVD are clear instruction about the tools and methods used to produce Venetian-inspired wound glass beads. Decorative details including dots, feathered stripes, foils and latticino are carefully demonstrated and meticulously captured on film with great closeup shots. 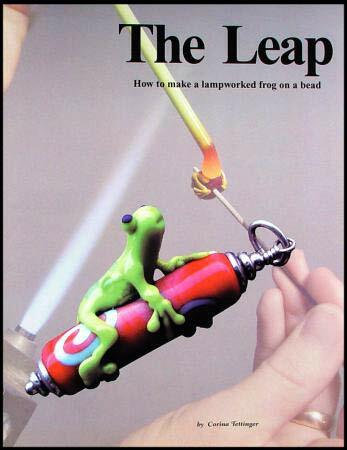 They showcase techniques essential to every lampworker. Dichroic, Inside Out, Filagree, Frit Coloring, Reversal Color Mixing, Sculpting, Flaring, Marbles, Vases, Combining, Techniques, Ribbons and many more techniques are included in this value packed DVD. 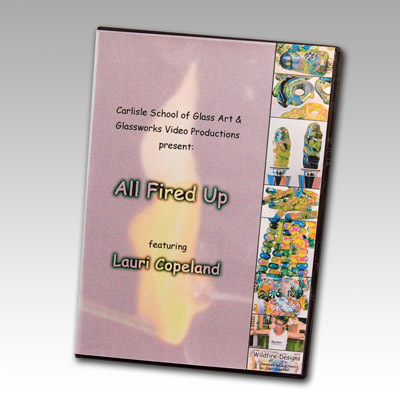 (Out of stock)This DVD features master borosilicate glass artists Freeman Corbin, Amandus Jalof and Justin McBurnett.They explain, demonstrate and share their secrets in creating exciting pieces in tubing, sculpture, and pendant making from borosilicate glass. 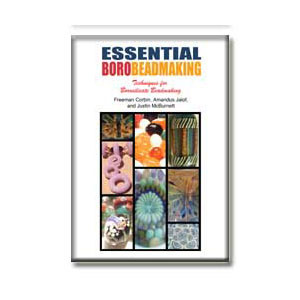 A visual encyclopedia of designs and techniques used for boro beadmaking, learn how to create incredible beads with tubing and stunning flameworked jewelry. 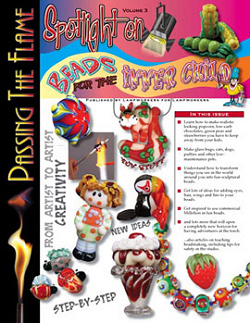 Explains shaping, artwork and designs, fillagrees, ribbons, inside out, frit, tubing beads, pendants, bead sets, dot boxes, creating frogs, lizards, dragonflies, fish and more! Features high definition filming so you can clearly see techniques in the flame. An Essential resource for any flameworker. 100 minutes. This video demonstrates how to make Sculptural and Off Mandrel Beadmaking Techniques. 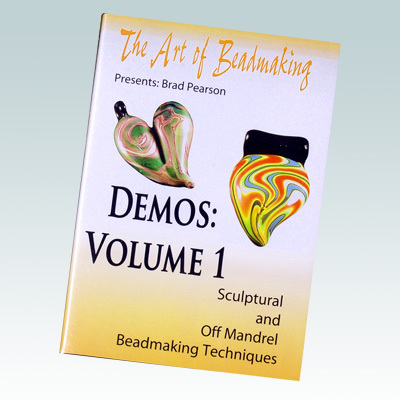 This DVD showcases four lessons demonstrating shapes and skills for new & intermediate beadmakers. Included lessons: Fish beads,Two part pendants, Off-mandrel hearts,Tribal mask beads, Each of the above demonstrations provides step by step instruction in skills needed to go beyond the basic bead. 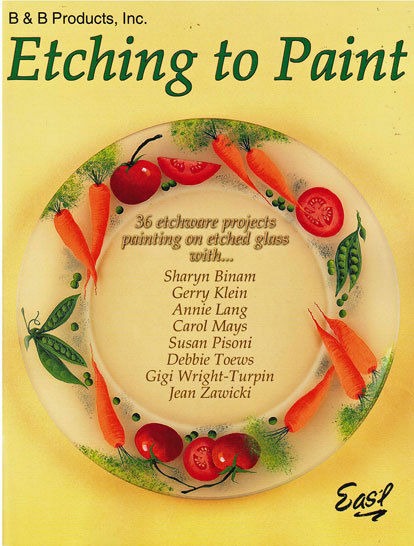 Instructional techniques include the use of enamels, silver leaf, metal punties, fusing two bead parts together, and a host of other great ideas for creating art. Challenge or enhance your own skills through more complex shaping and designs.Brad sees beads "as a template" that allows him to "explore texture, pattern, and color within a framework that is limitless." His current work "draws inspiration from many diverse cultures such as Tibetan prayer wheels, ancient writing and Celtic designs," to name a few. As Brad points out, "in most parts of the world, beads hold a great spiritual and cultural significance. I have tried to hold the viewer’s attention on a very small object by instilling some of this spirituality and mystery into my work. I view each piece as a miniature sculpture that retains its core function as a bead." Pat Frantz is renoun for her meticulous methods of glass manipulation. In this DVD the skills are set out in simple terms to encourage good work habits whilst acquiring the various techniques along the way. Take dot beads to a new dimension, learn how to feather your glass, make twistis, multicolored canes, latticino and gold stone stringers. 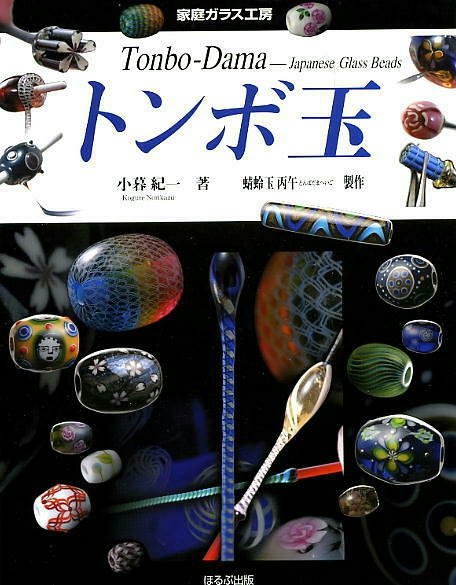 Sold out at present...Exquisite hard bound book about the making of Tonbo Dama, (aka Tombo Dama) Japanese glass beads by noted Japanese artist, Korure Norikazu. Tonbo-Dama translates as 'Dragonfly ball' and this title dates back many certuries. Numerous techniques are photographed and demonstrate the techniques for creating the most intricate bead details with step by step photo guides, helping to eliminate guess work. A great visual resource, not only for display of stunning Japanese Tonbo Dama, but also instructional material for their creation. Text: English and Japanese, side by side - Hard Bound - 22 × 26 cm - 111 pages - Printed on beautifully lacquered, thick paper. (out of stock)Master boro worker, Robert Mickelson creates in this DVD original sculpture in colored borosilicate glass. 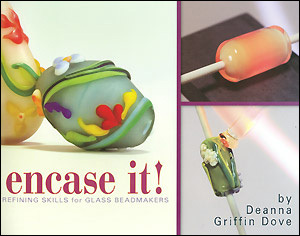 Deanna Griffin Dove This book shows techniques and tutorials for glass beadmakers. Each technique is well presented.Learn everything and anything which uses a dot technique. Inspiring beads show how techniques are refined, implemented and layered. Tips and insights help you develop essential skills and new ways to problem-solve. Numerous tutorials challenge you to acquire techniques and expand your abilities. A complete portrait of Kristina as an artist On this Master Class DVD Kristina explains where she finds her ideas and inspiration. She demonstrates working at the torch - precisely layering and dotting glass to make her intricately beautiful beads. Kristina also talks about how she got started making beads and working with glass and about precision and dot placement in her work. Kristina then shares how she works in her studio to combine her finished beads with silver to make beautiful works of art. A description of how contemporary glass beadmaking fits into the time line of glass history is included on this Master Class DVD. It will be of value to glass artists, collectors, and scholars for years to come. This Master Class DVD was produced by the Corning Museum of Glass with an introduction and commentary by David Whitehouse, director of the Corning Museum of Glass. From the Corning Museum of Glass... "Kristina Logan is internationally recognized for her precisely patterned, delicate glass beads, which she combines with metalwork to create both jewelry and functional objects. Says Logan, "Beads are part of my lifelong fascination with art and ornamentation. Glass beads form an historical thread, connecting people and cultures throughout our history." She has served as the president of the International Society of Beadmakers, and is a committed educator. Her desire to share her knowledge of the material has been an inspiration to glass beadmakers throughout the world, as well as to her students at The Studio of The Corning Museum of Glass. In this video, Kristina demonstrates her process of beadmaking at the torch, finishing the glass by cold working, and incorporating both her glass and silver work into completed pieces of jewelry. She also discusses the history of glass beads and shares the philosophy of her work." 30 min in length. Filmed at The Studio of The Corning Museum of Glass, Corning NY. 50 mins.Hot Glass Workshop by Timothy L. Keyzers. 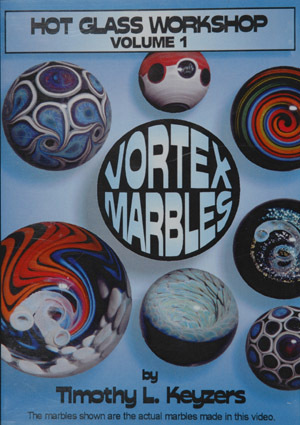 The marbles photographed on the cover are the exact marbles made in this video. ....Timothy L. Keyzers will demonstrate many useful techniques, one step at a time on how to create contemporary borosilicate vortex marbles..Four different vortex marbles are demonstrated from simple to to advanced using frit,coloured stringers, dichroics and silver fuming. Also included is the process of creating a Phantom Corkscrew. Also one of his signature looks is included on how he decorates the underside with his intricate spotting designs. 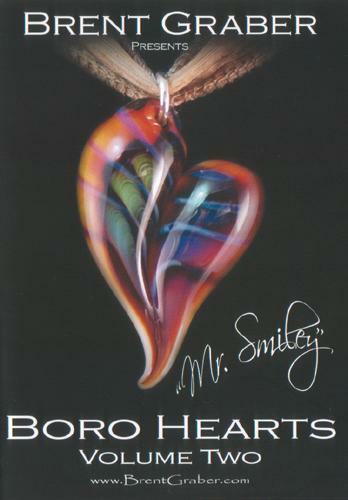 DVD by Brent Graber...Demos the step by step process to create gorgeous Boro Hearts... Suggested supplies for the projects shown in the video include: Tools- Graphite Paddle, Tweezers, Peter's Tweezers, Straight Tungsten Pick, Glass Shears (Scissors Work Too), Boro Capable Torch, Boro Safety Glasses, and Small Graphite Reamer. Glass Used- 3mm Boro Clear Rod, 6mm Boro Clear Rod, 10mm Boro Clear Rod (*No Schott Artistic), 9.5mm Boro Clear Tube (Med. or Heavy Wall). Color Glass Used- Elvis Blue Stardust Rod, Elvis Light Red Rod, Elvis Dwarf White Rod, Northstar Serendipity Wondercane, Northstar Amber Purple Rod, Northstar Double Amber Purple Rod, Northstar Blue Moon Rod, Northstar Loch Ness Rod, Northstar Jet Black Fine Frit, and Glass Alchemy Triple Passion Rod. This DVD runs 1 hr, 43 minutes. Bill Rasmussen is considered a national treasure amongst many premier glass artists. The many projects demonstrated on this DVD are: A Ballerina, Male Dancer, A Child, Kneeling Figure,and A Cherub. This DVD runs 1 hr,43 minutes. Bill Rasmussen is considered a national treasure amongst many premier glass artists. This DVD covers information on the Tools You Use in Your Every Day Work, Tongs, Flat-Iron, Tool Rack and Custom Tools, Extension Tube, Drawings and Files, Holding Rod, Customized Pliers, Stamps, Tubes & Molds, Dividers, Hand Held Torch, Tool Rest, Scrap Bin, The Work Bench, Garbanstangle, CREATING GLASS OBJECTS: The Cherub, Legs, Body, Arms, Head & Face, and Wings. This DVD runs 1 hr,22 minutes. Bill Rasmussen is considered a national treasure amongst many premier glass artists. 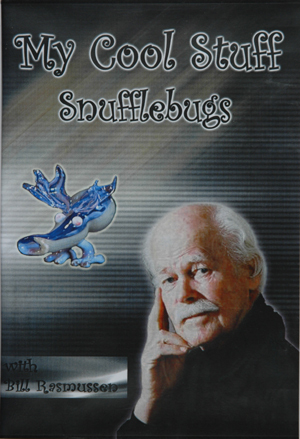 This DVD will demonstrate the process of sculpting a Basic Snufflebug,Snufflebug with Wings, and Snufflebug Accessories.By creating these 'sculptured forms' using the same process, it can be adapted to any other project you want to make in glass. 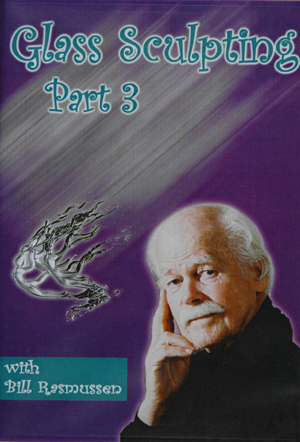 This set of 4 DVDs by Crystal Myths, Inc. Demonstrated by renoun glass artist Lewis Wilson, glass artist. 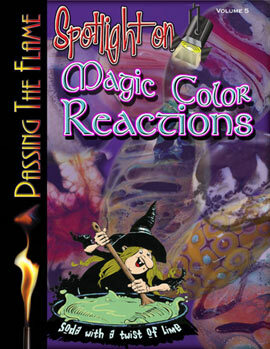 Filmed on location at Crystal Myths Inc. studios, Albuquerque, New Mexico. 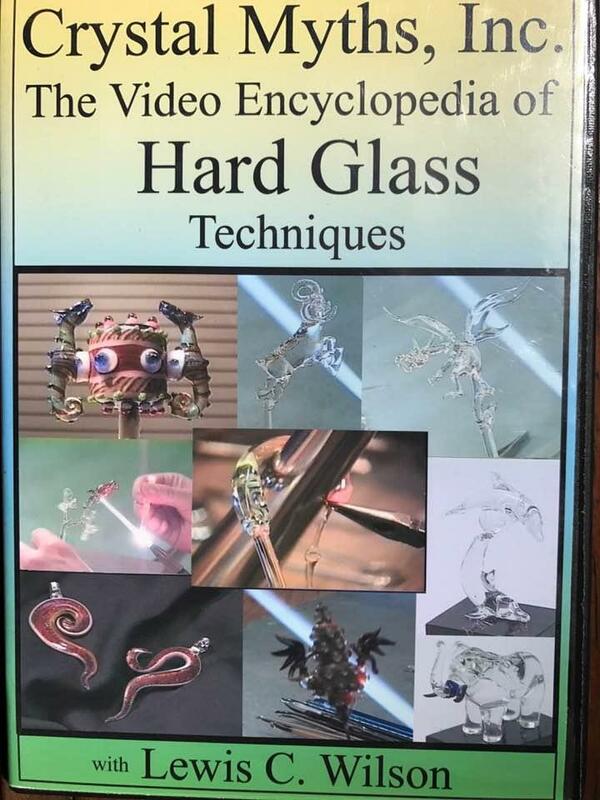 This set of DVDs is intended to show a practical approach to working with HARD GLASS. The following are topics covered: Beginning sculpture...Shark Sculpture ....Ribbon Cane Marble... Wizard & Dragon.. Rabbit & Horse ...Elephant Sculpture....Small Money Makers.....Snowflake Ornament....Gold Fumed Rose ...Bird & Hanger ...Dragon Sculpture ...Flying Unicorn Sculpture....Double dolphin sculpture -- mermaid sculpture -- hammer Head Shark ...Large Bracelet ...Seal with Ball...Scuba Diver Sculpture ....Ram Sculpture ...Eagle & Tree ...Monster Dragon Head....Squiggle Pendants. FOUR DVD's in boxed set. 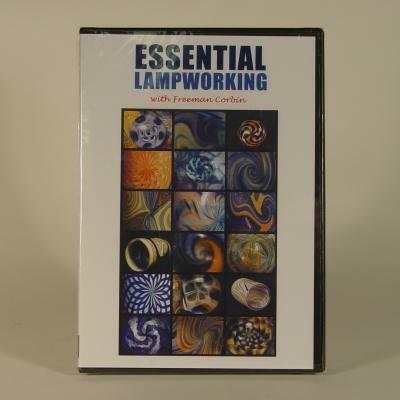 Flameworking with Teamwork, Technology & Scale This brilliant dvd demonstrats the use of water jet, diamond grinder, abrasive blasting and ultraviolet adhesive to achieve results with glass. For many years, Milon Townsend has been making his flamworked sculptures with a team, incorporating new technologies, and on a larger scale than is usually found in the flameworking studio. This video has grown out of the preparation for his presentation at the Glass Art Society conference,in Corning, NY. 'Teamwork' illustrates how he collaborates with other glass artists to create one of the 'Tidal Pool' series of Paperweights 'Technology' follows one of his 'Body Language' Sculptures through from beginning to completion. It shows how the water jet, diamond grinder, abrasive blasting and ultraviolet adhesive are all brought together to serve the idea represented in the artwork. 'Scale' is a brief glimpse into the setup and process involved in making a large solid flameworked piece.